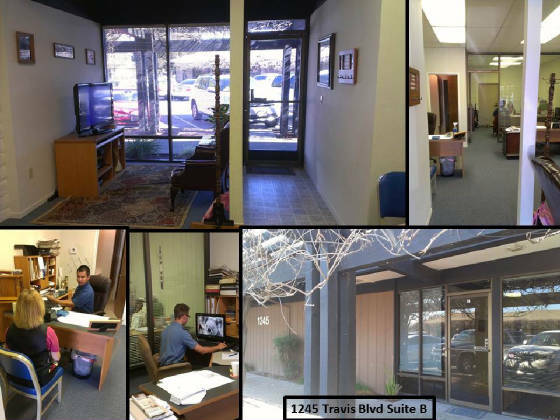 From 1990 to the present, FCI has provided analytical and test support to single and multiple stage to orbit launch vehicle propulsion system development programs, and hypersonic missile propulsion system analysis. Cycle analysis types include ramjet, rocket, ejector-ramjet, and other combinations using hydrogen or hydrocarbon fuels and fuel additives. Significant analysis experience in Rocket-Based-Combined-Cycle (RBCC) and Liquid Air Cycle Engine (LACE) systems. 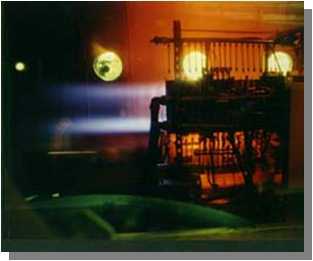 External aerodynamic heating and engine thermal management support have been provided on several high-speed engine and airframe development programs. Past programs include external and combustor heating evaluations and endothermic heat exchanger analysis for a Mach 6 block speed scramjet missile development program and performance trades on hydrazine and MMH rocket thrusters. 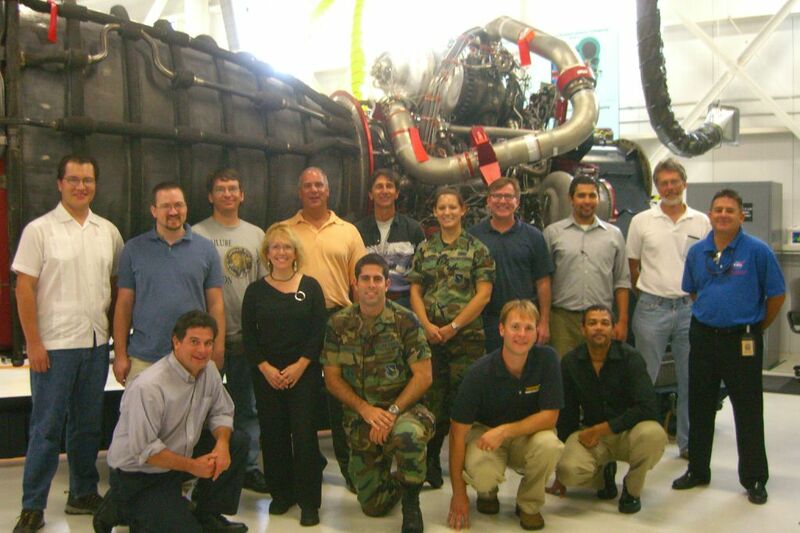 Recently completed contract with the Air Force to evaluate air breathing and rocket earth-to-orbit concepts and Thermal Protection System (TPS) requirements, and with the private sector in attitude control thruster systems thermal management and preliminary design options for rocket engine reliability and health management. Past commercial programs include thermal and reliability analysis support for bipropellant thrusters; plus many monopropellant thrusters used in station keeping and de-orbit maneuvers. Subject matter expert support to USSTRATCOM & OUSD AT&L S&TS SW.
FCI has also supplied analytical support as a second-tier subcontractor to product oriented aerospace companies and provided Thermal Analysis, Failure Modes and Effects Analysis, Reliability Assessment, Critical Items List, Trends Analysis and Limited Life Analysis for multiple satellite electromechanical subsystems. Analysis of antenna pointing mechanisms, solar array drives, and general motor driven actuator assemblies are typical applications. Satellite programs include Intelsat VI, JPL’s Cassini, TES, AIRS and MSL programs, Japan’s ADEOS I & II program, Italy’s SICRAL program, and other programs such as Clementine, FTS, New Millennium, CERES, KOMPSAT, SBIRS, AEHF, and LRO. Recently finished contracts supporting the leading edge flap actuation system thermal analysis for the F-35 program and an antenna pointing mechanism for GSFC’s Global Precipitation Measurement project. The Spaceship Company ● MOOG ● AMPAC ● Sierra Nevada Corp ● SPARTA ● STARSYS ● Applied Astronautics ● TGV Rockets ● WASK ● Aeroflex Inc.
“Full Scale Ejector Ramjet Mixer Optimization”, A.M. Faulkner, W. Burkhardt and Dr. A.Le, Dec 2005 JANNAF Propulsion Conference, Monterey, CA. MIPROP – Liquid and real gas properties for para -hydrogen, nitrogen, oxygen and various hydrocarbon fuels, etc. as a function of pressure and temperature. AIRPROP – Liquid and real gas properties for air as a function of pressure and temperature. AFWAT – Air Force Weight Analysis Tool as developed by FCI under contract to AFRL Edwards for TSTO launch vehicle weight estimations. ENG92/2003 – Wright Pat propulsion analysis code for rockets, ramjets and air-augmented rockets or RBCC engines (ENG2003 as updated by FCI). 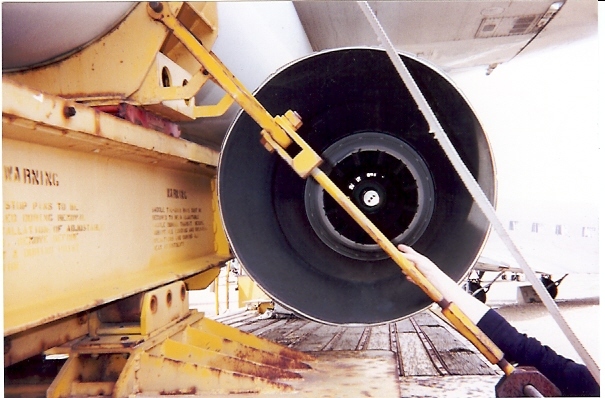 SJ20/21/22 – Wright Pat propulsion analysis codes for real gas analysis of scramjets, ramjets and dual mode engine cycles. GUI’s for all programs as updated by FCI. HAP – Hypersonic Airbreathing Propulsion Code by Heiser and Pratt. ETO – Wright Lab 2-DOF flight trajectory program for any combination of airbreathing or rocket propulsion. Constant or linearly varying dynamic pressure. TRASYS/TSS – Radiation analysis code available through NASA (TRASYS) and Space3D (TSS) that formats output compatible as the input to SINDA. 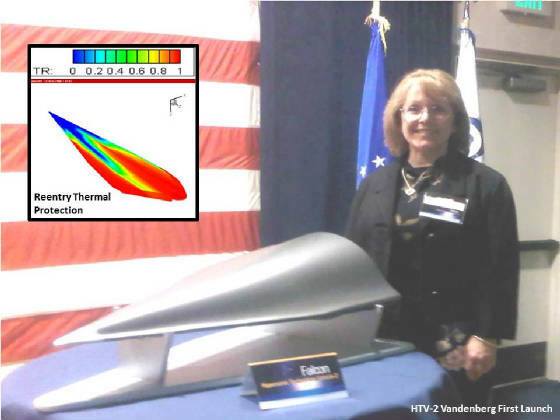 MINIVER – Aerodynamic heating analysis program from McDonnell Douglas. EKCT – High temperature duct heating for use in propulsion system analysis based on the Eckert reference temperature method with Blasius skin friction. Developed in-house by FCI. AFRRAT – Air Force Rocket Reliability Analysis Tool as developed by FCI under contract to AFRL Edwards. Send your questions, comments or ideas to MikeSFCI@cs.com. For issues that are of particular interest to the the community, we may publish (with your permission) your questions along with our answers on this web site. San Francisco Section, in January 1997. 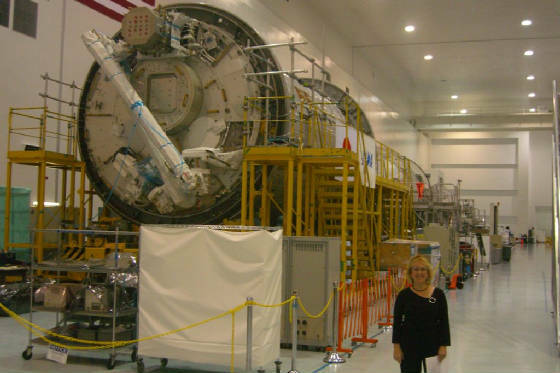 It was a blast (yes, pun intended) to see some of the ISS hardware we worked on!